It’s our favourite time of the week – First Dates time. 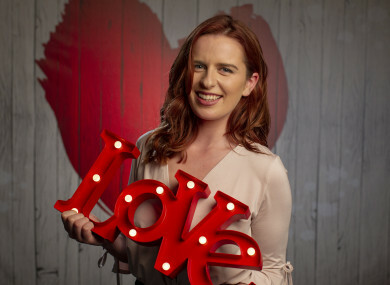 This week is obviously a very special Valentine’s Day edition of the show and sees one couple accidentally meeting up on the Luas before their date and a Limerick woman convinced there’s been a mistake as she’s paired with a Dublin fella she says she has ‘nothing in common with’. A flamingo chick is the cause of worry after her mother loses interest in taking care of her, leaving it all to her dad. The zoo keepers also worry about a foal whose health takes a turn, before they help a Sulawesi macaque monkey give birth to a baby only to find it is not welcomed by the other high-ranking female monkeys. Looking for more first date banter? Well, here’s the American attempt at it which is kind of like a First Dates and Gogglebox hybrid. The show follows a number of singletons going on a first date, all the while comedians are sat watching live footage backstage and narrating the first encounter for our enjoyment. The first two episodes of the brand new series air back-to-back tonight. Can you believe we’re not sick of saying ‘Can you believe?’ yet? Yes, our favourite fabulous men are coming back for a third season and yesterday teased that we don’t have long to wait at all. Sharing the promo on Twitter, Netflix revealed that in just one month, we’ll have a whole new series of transformations to look forward to. Season three drops on March 15 and Karamo promises it’s a season full of love as the Fab Five move from Atlanta, Georgia to Kansas City, Missouri. How to Be Good with Money (RTÉ One, 8.30pm) Because we could all do with some advice. Fifty Shades of Grey (ITV2, 9pm) Do we really need to explain this one? Nowhere Fast (RTÉ2, 9pm) Alison Spittle’s comedy series continues. Righteous Kill (Virgin Media One, 9pm) Robert De Niro, Al Pacino and Carla Gugino star in this police crime thriller. Valentine’s Day (ITV2, 6.30pm) The romantic film with 10 different storylines and 20 Hollywood A-listers. Top tip: If this is on way too early for you to enjoy, it’s also on Netflix right now.